PRE-BOOKED HOTEL ACCOMMODATION AT FAVOURABLE RATES AT SELECT HOTELS WITHIN WALKING DISTANCE TO THE CONFERENCE CENTRE. The rates below are quoted per room per night and are applicable for the duration of the SAPICS Conference. Indicated rates include breakfast, VAT, as well as the 1% tourism levy. Have you already registered for the 2019 SAPICS Conference and want to book your accommodation separately? Please click on the button below to book accommodation. 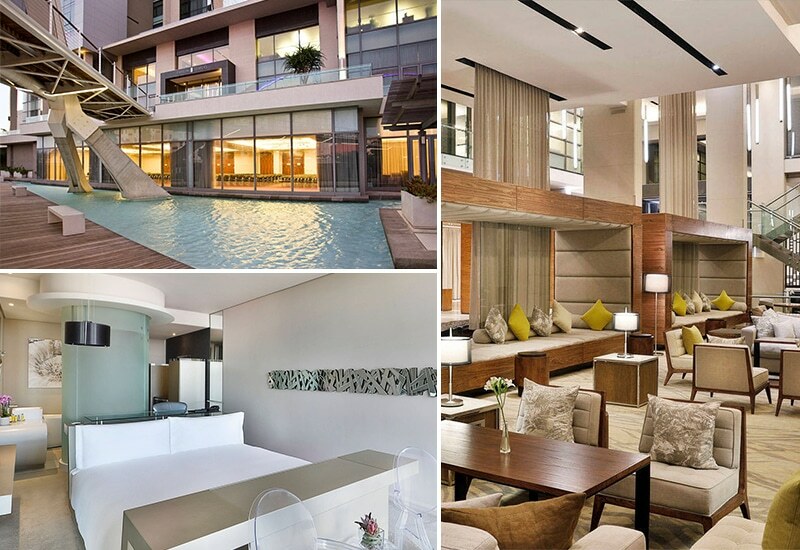 The Century City Hotel is a modern four-star facility situated just a stone’s throw away from the conference venue. The rooms feature king-sized bed/twin beds depending on your requirements and large walk-in showers. Each room has block-out blinds, a 40-inch LCD screen with 16 DSTV channels, open-air cupboards with drawers and a laptop-sized safe for storage. A workstation with a USB port, as well as a refreshment station with tea and coffee making facilities are provided. There are also bedside table plug points and an 1800-watt hair dryer. All rooms are non-smoking. Uncapped, high-speed fibre fed Wi-Fi access is complimentary throughout the hotel to in-house delegates. For more information, please visit: www.cchotel.co.za. CAPE TOWN MARRIOTT HOTEL CRYSTAL TOWERS. 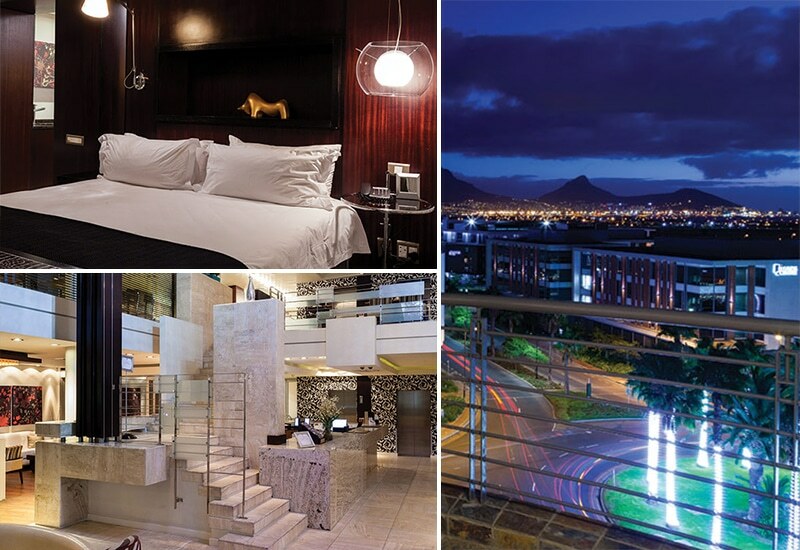 Just a short walk from the Century City Conference Centre this five-star hotel combines an innovative blend of technological sophistication with elegant decor and offers majestic views of Table Mountain and Cape Town. Rooms are non-smoking and offer air-conditioning and an en-suite bathroom. Unique room features include a cylindrical frosted glass shower and a flat screen TV that ascends from the base of the king-size bed. Each room is fitted with soft magenta lighting, creating a calm and intimate atmosphere, as well as floor to ceiling windows to allow ample natural light. All rooms offer executive desks and chairs for the corporate traveller. 24-hour room service, mini bars and tea/coffee making facilities are also available. Wi-Fi connectivity is available in all rooms and public spaces and is uncapped at a speed of 5 mbps. For more information, please visit: www.www.marriott.com. * Limited number of twin suites (2 beds) available. The rest of the rooms only accommodate 1 king size bed. 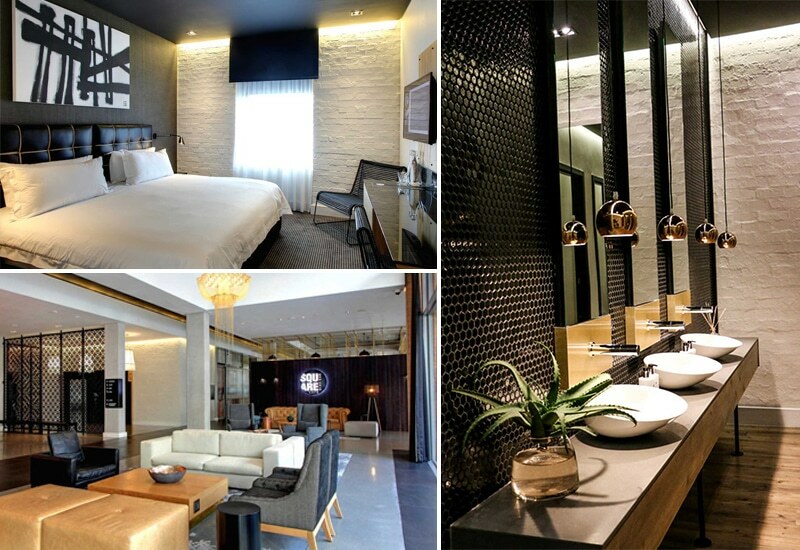 The Colosseum Luxury Hotel is considered by many to be Cape Town’s finest urban luxury hotel. The Colosseum Luxury Hotel occupies a prime position in Century City, just off the N1 highway and less than 2km to the N2 highway. Overlooking Century City and the Durbanville hills, all Suites boast a separate living area, semi self-catering kitchenette and an open plan, free-standing bath and shower. All suites are air-conditioned and contain two LCD TV screens. Suites are ultra-modern with a sophisticated look and feel. Each suite has a work desk with international plug points, telephone and wireless internet. For more information, please visit: www.colosseum.co.za. To secure a hotel reservation, full pre-payment of all nights’ accommodation, payable to Upavon Conferences, is required at the time of reservation on receipt of an invoice. Alternatively, credit card details should be provided, allowing the reservation to be guaranteed. The card may be debited by the hotels with the full amount 30 days prior to check in. This applies only to the Century City Hotel and Cape Town Marriott Hotel Crystal Towers. The Colosseum does not accept credit cards and pre-payment is essential. Any reservations not paid or guaranteed as per above by a date one month prior to the commencement of the conference will be released. Special booking conditions apply to reservations of 3 rooms or more. Please see group booking conditions. Please note that depending on availability, higher rates might apply for nights outside the conference period. Prices are available from the Conference Secretariat.